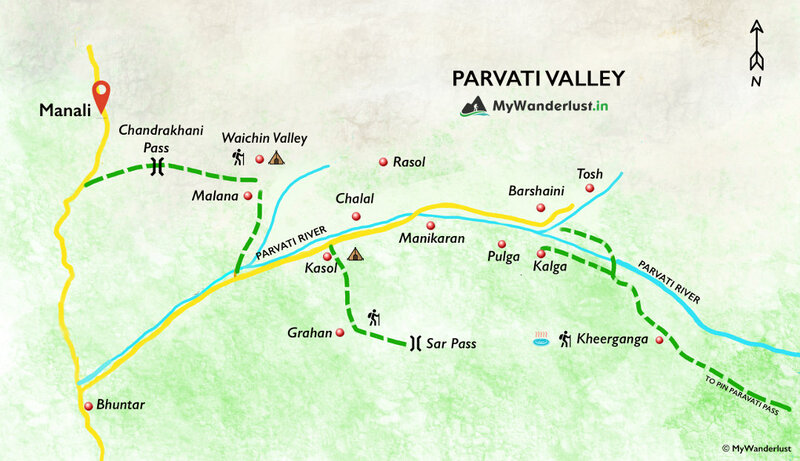 If you are planning to visit offbeat places of Parvati valley, a 10km hike to Grahan village, situated deep inside the forest to the north of Kasol, at an altitude of 2298m in Parvati Valley, is a must on the list. It is a small village with a population of only 350 people living 50 houses along with some beautiful architecture. Summers and winters are the best seasons to visit this place. Accommodation here is limited to a handful of guesthouses run by locals which offer local Himachali food. With its tranquil sites and pure mountain air, Grahan is the starting point of the adventurous Sar Pass Trek. Despite offering the ultimate peace by rendering a complete disconnect to all the backpackers and travellers coming here, this place is still the road less travelled in the Parvati valley.